Monday: Red Curry Chicken Soup, and fearing it might be too spicy, I also made a potato corn chowder. But I followed a recipe and wish I hadn't. I should have gone with my instincts and added what I thought would be good. Instead, I followed this recipe. Even with a few additions, it was too bland for my liking. It needed more veggies and seasoning. 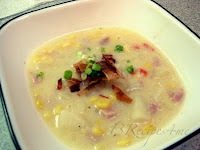 After adding plenty of chopped ham in addition to the bacon, it was consumed by those who weren't so fond of the other soup. 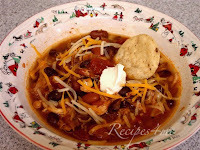 Tuesday: Chicken Taco Soup (but gluten free) I was happy to have this, as everyone loves it leftover. Sadly, the crockpot keeps it so hot it necessitates cooling down before refrigerating. Somehow I left it cooling all night. It was hard dumping the huge container out the next day that was more than 1 meals worth of food. Darn! 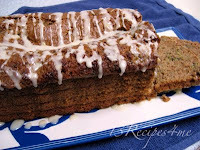 Wednesday: I had leftover zucchini from Monday's soup, so made this zucchini bread. I will be adding recipes as I go. For tonight, I'm thinking of Beef Barley Soup, but without the barley otherwise it won't be gluten free. So I gotta figure a substitute for barley.